I absolutely LOVED this book. It was fantastic, definitely my favorite of the series (well so far as there are a few more to come). Seriously, this is the best young adult series that I have read in a long time. If you haven't picked it up yet, there's no time to waste. If you start The Six (see my review) today, you can get through The Oracle (my review) and The White Thread (my review) before The Enchanted is released on October 18. The characters are more mature in this book. Darcy has moved from the tween angst of "my parents are so uncool" we saw in The Six to the more mature melodrama of "he loves me, he loves me not". And speaking of "he"... Tellius is all grown up and quite the handsome prince. Much as the title suggest, The Enchanted was much more the fairytale than the early books. It is not as action packed, though there is still plenty of action and danger. Afterall, Tselloch is stronger than ever and has Collin in his grasp. Yet, there seemed to be more of a focus on the relationships. As I mentioned in my Flash Five Friday post, Sam shows off her backbone. It was a "good for her" moment. I've never wanted to go back to my teenage years, but reading The Enchanted and the perfection that is Tellius had me wishing for those innocent years when I would have still believed a guy like that could exist. Ok, I have to admit that he isn't actually perfect. He makes some stupid (but totally understandable) mistakes. But, he's charming and good looking, and has manners (you know those behaviors of olden days when guys were gentlemen and made girls feel like ladies). Also, if I was a teenager then I wouldn't feel so creepy swooning over this seventeen year old boy. We get more answers toward solving the prophesy (I think I know what "twice red" refers to). I so should have taken the bet with my niece (don't know what I'm talking about? Read my niece's interview). Speaking of my niece, she was none too happy to learn I got an advance copy. The Gateway Chronicles is her all time favorite series (it's rivaling my love for Harry Potter). You do NOT want to miss out on these well written, entertaining stories. GET THEM NOW! This sounds great! One question - is The Six available as an ebook? Yes the whole series is available in ebook. Thanks for the great review, Donna! 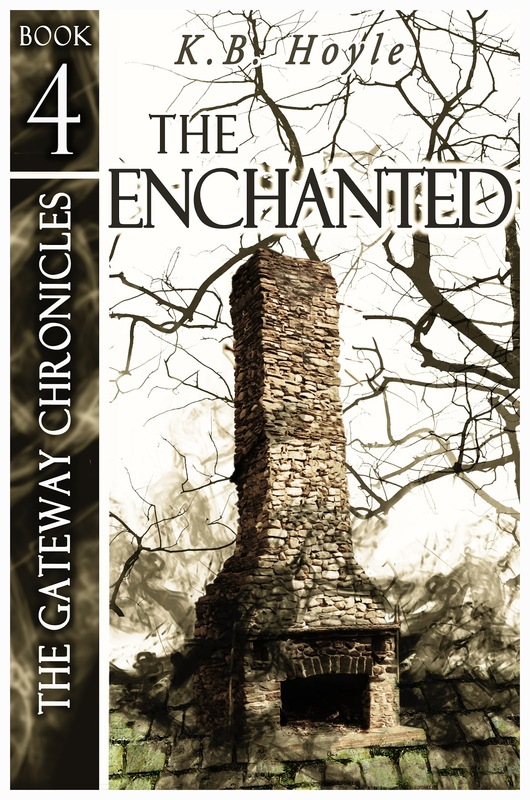 I'm thrilled that The Enchanted was your favorite so far! I love this series too but. Haven't been able to figure out anything fri. The prophecy! It's driving me insane!!! Plus I totally agree with you about Telious! There are definitely some big hints in The Enchanted regarding the prophesy and oracle. My niece wants it all solve NOW as well.